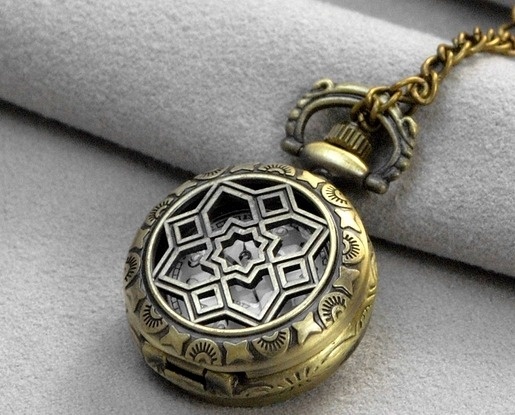 bears the deathly hallows symbol on the front and opens up to reveal a delicate watch face. 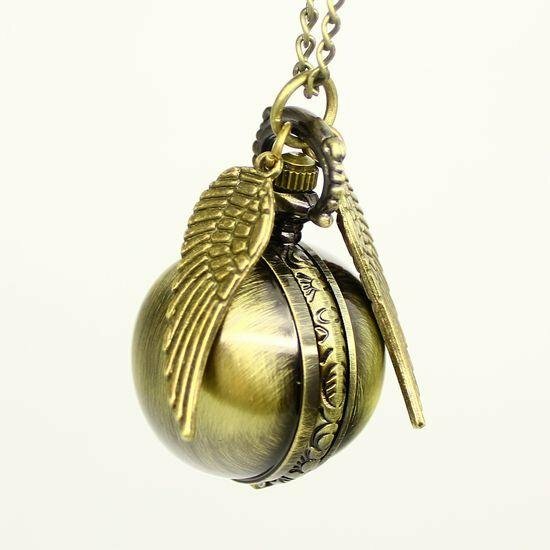 Harry Potter style golden snitch opens to reveal delicate watch face. Also features independent golden wings. Spare battery included. This stunning pendant watch bears the deathly hallows symbol on the front but is also surrounded by engraved zodiac markings. Spare battery included. This lovely winged bronze pendant watch has a raised glass face and has an additional angel charm attached. 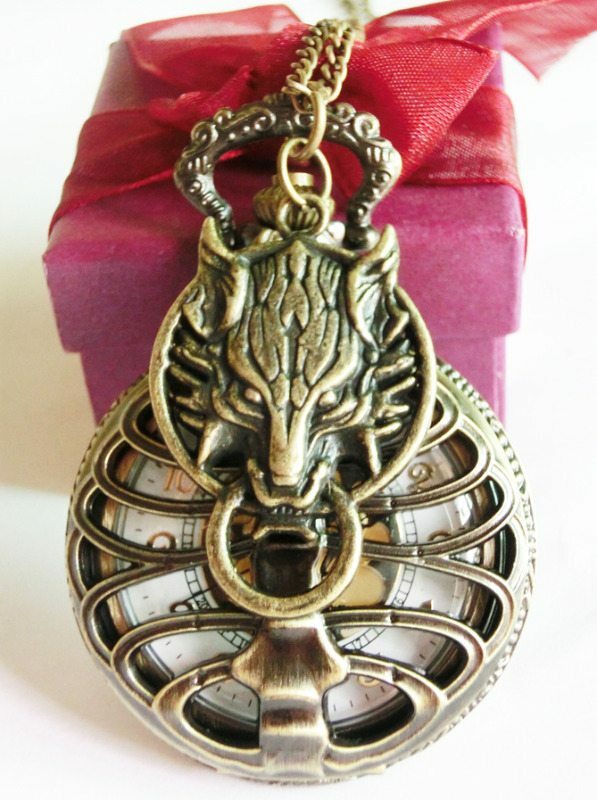 a rib-effect front and detachable wolf face charm. and a silver glittered heart watch face inside. with a beautifully engraved back. 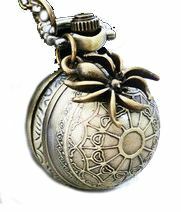 and an additional bronze spider charm. watch with classic roman numeral face. 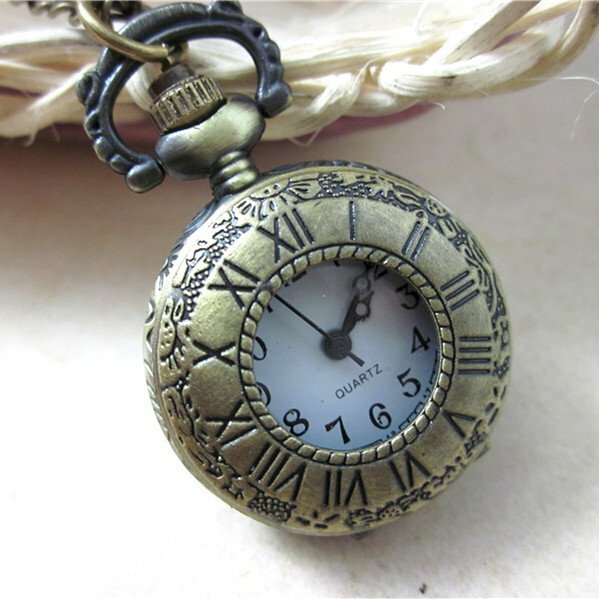 Classic roman numeral pendant watch with the back of the watch beautifully engraved. watch with an open flower face. a white enamel watch face and arabic numerals.